J1 leaders Sanfrecce Hiroshima slipped to a 2-0 defeat away to third-placed Urawa Reds on Saturday, but managed to hold onto a one-point advantage at the top as Vegalta Sendai were pegged back to draw 3-3 at Kashima Antlers. Keita Suzuki was the inspiration for Urawa, deploying his range of skills to pierce the Hiroshima defence for both of his side’s goals. Five minutes before half time, his diagonal pass from just in front of the halfway line found the on-running Tsukasa Umesaki to fire home the opener at the far post. Then, just after the hour mark, Suzuki took advantage of some uncharacteristically hesitant Sanfrecce defending to dribble through from the centre circle virtually unchallenged and double the lead from inside the D.
The news from Saitama would have been music to the ears of Sendai fans, whose side began the day two points behind but opened up a 3-1 lead in the first half at Kashima Stadium. Shingo Akamine headed in a Naoki Sugai cross before strike partner Wilson pounced for the second after Antlers custodian Hitoshi Sogahata had spilled an attempt from Yoshiaki Ota. Shinzo Koroki pulled one back for the hosts, but Akamine headed his second from a tight angle following more uncertain goalkeeping from Sogahata. However, Jorginho was able to change the game with a reshuffle and a more attacking approach for the second period. Substitute Juninho crossed for Yuya Osako to halve the deficit two minutes after the restart, before Masashi Motoyama deftly lofted the ball over the Vegalta centre-backs for Koroki to smash in the equaliser. With Hiroshima set for an easier final two fixtures on paper, Sendai’s failure to hold on for all three points may well prove decisive. Urawa still head up the battle for the third and final automatic Asian Champions League place, albeit only on goal difference above Nagoya Grampus, who won 2-0 at Jubilo Iwata with goals at the end of both halves. Sagan Tosu are two points adrift in fifth after coming from behind to win 3-2 at relegated Consadole Sapporo, with Kashiwa Reysol one further back in sixth following their Leandro Domingues-inspired 2-1 victory away to Yokohama F Marinos. Omiya Ardija made it nine games unbeaten as their late-season survival instincts continued to amaze in a 3-1 victory away to Cerezo Osaka. With a waterlogged pitch serving to nullify both sides’ attempts at passing the ball, the match remained goalless until Milivoje Novaković superbly converted a free kick from about 25 yards, left of the goal, after 37 minutes. Following the breakdown of a Cerezo set play, Daisuke Watabe broke away from the right-back position to hit a powerful low shot across Kim Jin-Hyeon for Ardija’s second. Kenyu Sugimoto quickly pulled one back for the home side, but Takuya Aoki sealed the points late on. If Kincho Stadium was waterlogged, the pitch at FC Tokyo positively resembled a lake for the visit of Vissel Kobe, who fired manager Akira Nishino earlier in the week but adapted to the conditions to seal a vital first league win in ten thanks to a superb first ever goal from rookie right-back Ryo Okui. Gamba Osaka will be wondering what on earth they need to do to break out of the bottom three after they also gained an impressive 3-1 victory away to Shimizu S-Pulse. Shu Kurata scored a brace either side of a 14th goal in 13 games for Leandro, who also held off the entire Shimizu defence to set up Kurata’s second. Albirex Niigata are in a perilous position after they succumbed to a 95th-minute winner by Kawasaki Frontale’s Yu Kobayashi, to drop five points adrift of safety with just six more available. Gamba are still two points behind Kobe and three behind Omiya. Kashima and Cerezo are now suddenly right back in the relegation picture too, respectively three and four points clear of danger. Oita Trinita and JEF United Chiba will contest the inaugural J2 playoff final on Friday after each achieving astonishing 4-0 victories in their semi-finals on Sunday afternoon. 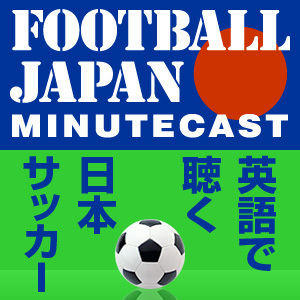 The idiosyncratic rules for the J. League’s new experiment dictated that, by virtue of respectively finishing the regular season in third and fourth, Kyoto Sanga and Yokohama FC would not only enjoy home advantage for the single-legged semis, but only needed to draw to progress to the final. Perhaps the need to win in 90 minutes galvanised the eventual victors, with Oita’s Yu Kijima hitting all four against ten-man Kyoto while Yoshihito Fujita scored two for Chiba in Yokohama. Ben Mabley is the English Premier League analysis for the JSports programme ‘Foot!’, appearing every Tuesday night at 10pm on JSports 3. He is also a columnist for Goal.com Japan.